Whether it’s preparing a “pizza talk,” or writing a grant, fellowship or senior thesis – all of those activities can be stress-inducing. The Science Communication Lab (CommLab) at Brandeis was created to help undergraduate and graduate students, postdocs, laboratory-staff and faculty with the skills they need to effectively communicate their work through a variety of media. Since its inception in November 2017, the six Graduate Fellows from the CommLab have conducted nearly 150 appointments (39% appointments with undergraduates; 52% with graduate students). Most appointments provided assistance in preparing for the graduate qualifying exam (18%); oral presentations like “pizza talks” (18%) or writing applications for fellowships or scholarships (15%). Participants are surveyed after each appointment. When asked how they would rate their experience at the CommLab, participants rated it 5.95 out of a possible 6.00. Interested in making an appointment? There are three ways to schedule a meeting. The CommLab is located in Bassine 122. Susan Birren, Dean of Arts and Sciences, has announced that John Wardle, Professor of Physics, will be the new Head of the Division of Science. “I am pleased to announce that John Wardle will be the new Head of the Division of Science. 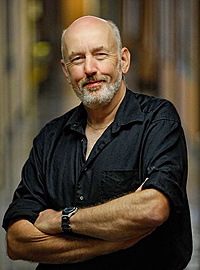 John is an astrophysicist and Professor of Physics and is a former chair of the Physics department. In his new role he will oversee science-wide programs and initiatives, including the summer undergraduate research program and will work with Division of Science faculty and staff to identify new directions for the division. I am delighted that he has agreed to take on this role and I hope that you will join with me in welcoming him.